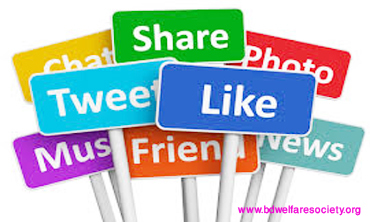 Social networking sites such as- facebook/mySpace/twitter and the dozens of others that allows people to stay for in touch like never before. However, some of the people spend so much of the time on these types of sites that it begins to really interfere with their lives. 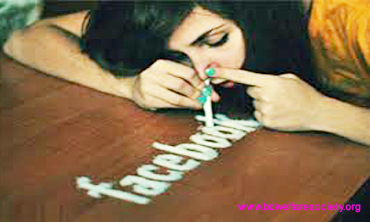 Some of the psychological experts are referring to this is as a social networking sites compulsion or addiction. 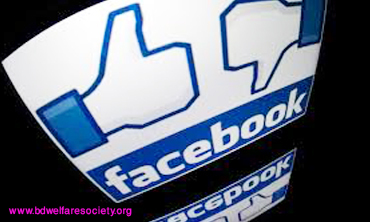 Facebook has become- so much a part of our daily life now that it is so much prevalent across whole of the world. With close to a billion of users out of there, one can easily throw a stone here and hit a facebook user. The amount of time users are engage in facebook activities, like that- updating his/her statuses, posting of photos, commenting and liking posts here has also been increasing with using the smartphones and 3G/Wi-fi networks becoming most commonplace in recent of the years. Given the process of accessibility and easeness of uses of facebook whenever and wherever we are, it is no wonder more and more peoples are addicted to the popular like social networking sites. We may ask, what is a wrong if we use facebook in frequently as a means of just entertainment, or as a means to just relieve our mental stress? Well, there is nothing to wrong. 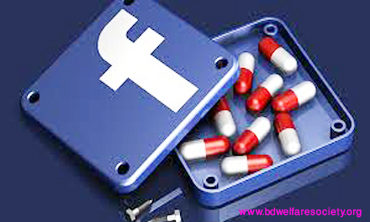 However, when facebook and other social networking sites activities start interfering with our everyday life and become detrimental to our daily life function such as- at the work and duties with hampered normal activities that might have a great problem. Spending huge time in the daily basis at the social media/networking sites. Checking facebook or other social media sites whenever and wherever possible. Tendency to over sharing at the social media sites. Hearing from friends/family that he/she is spending too much time on the social media/networking sites. Interference with the work and duties, school/college/university/office performance or offline social life. 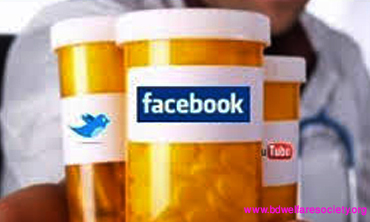 Suffer from withdrawal symptoms if he/she try cut down on the time that he/she is spend on the social media/networking sites. 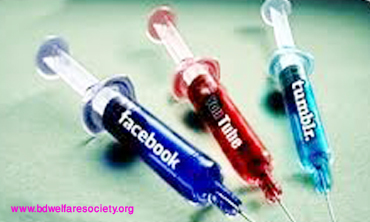 Obsessive type of thoughts about his/her friends or other aspects of the social media/networking sites. Do reporting. There are friends- who often appear on his/her newsfeed with some of the status update, check in, posting of their photos/images and such type of the activities. 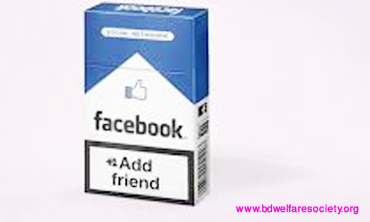 Looking always for new type of facebook friends in an almost the process of competitive way. If he/she are using our time on the social media/networking sites to always avoid conflicts or any problems that are really occurring in his/her real life. He/she can know this because, when he/she are down, he/she actually turns to on facebook or another types of social media sites to feel for better. 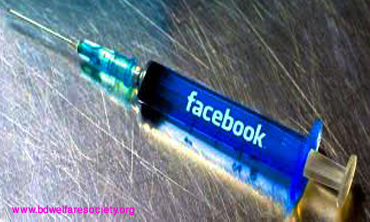 Losing sleep or insomnia to go on facebook or other social networking sites. 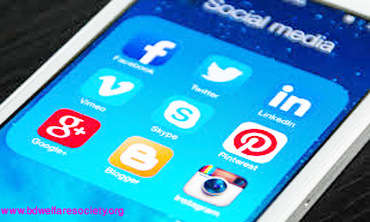 It is for bad enough if social networking sites interferes with his/her daily work, duties and studies. However, it is really out of hand if he/she stay up late at night to check for facebook, for example- he/she must wake up in very early to check it in the morning. Otherwise- staying up late is one of the characteristic of those who are overuse facebook/other social networking sites, according to some of the studies.